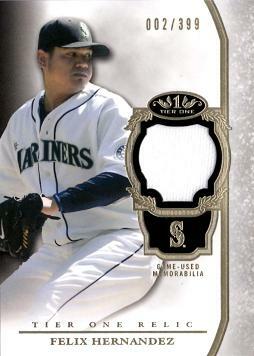 This unique baseball card has a piece of an authentic jersey that Felix Hernandez wore during a Seattle Mariners Major League Baseball Game! 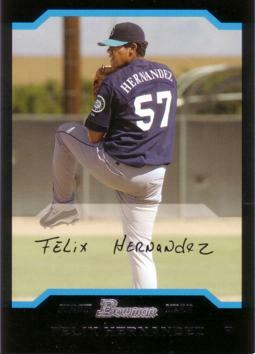 Serial numbered to 399, meaning only 399 of these cards were produced. 2013 Topps Tier One Relics Game Worn Jersey Baseball Card #TOR-FH - Only 399 made!